During 2016 a number of groups visited because of “word-of-mouth” reviews. These are particularly wonderful because somebody enjoyed their visit so much they spoke highly about it to others and inspired them to visit. It’s always an extra delight to take that booking. One such group were delighted their visit lived up to expectations and sent a wonderful thank you card, along with a photograph of the group with our incredible museum guide. A comment on the card stopped me in my tracks. They had been impressed to learn about “…the great men of anaesthesia”. With two women curators, how are there no women represented in the museum? 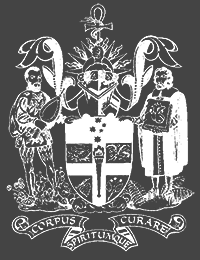 The Faculty of Anaesthetists at the Royal Australasian College of Surgeons was founded in 1952 with 40 Foundation Fellows. Six of those Fellows were women, one of whom, Dr Mary Burnell, was elected by her peers to become the first woman Dean of a specialty medical college faculty in Australasia in 1966. She may have been the first in the world (we’re still working to verify that). 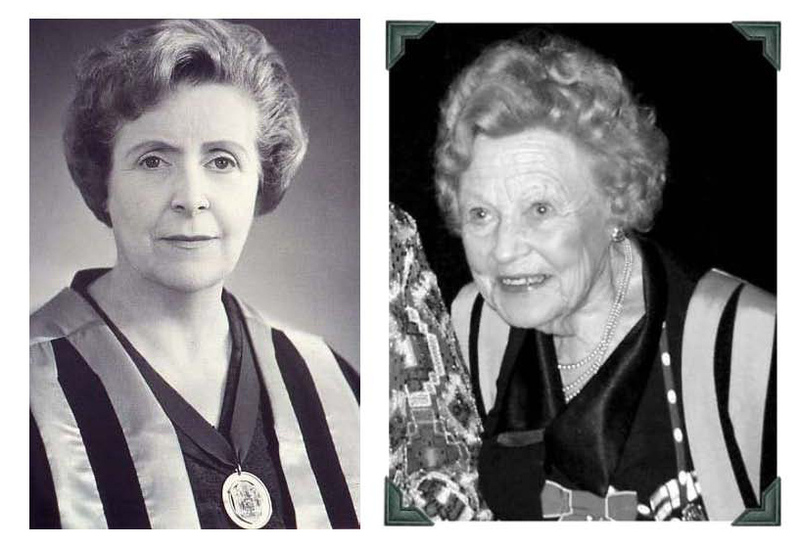 She was also the first woman elected president of the Australian Society of Anaesthetists in 1953. That is certainly a story worth telling in a museum dedicated to the history of anaesthesia. Dr Margaret Smith, like so many before her, had to travel to England to gain her qualifications. She completed a Diploma in Anaesthetics from the Royal College of Surgeons and Physicians in London and remained in the UK during the war, returning to New Zealand in 1947. Her achievements were recognised with the Queen’s Jubilee Medal in 1977, an Order of the British Empire in 1990 and the ANZCA Medal in 2003. But, just like the medical men, medical women were practising anaesthesia long before the development of any formal qualifications or professional body. There was even a suggestion women would make ideal anaesthetists because of their “feminine qualities”. Although nurse anaesthetists didn’t (and don’t) exist in Australia, the ideas in that article are probably still relevant. Encouraging women anaesthetists was possibly a way of encouraging medical women into a field medical men did not want to take on. It was apparently low paying, difficult to sustain a family on the income generated, and far from being a recognised specialty. Although granting universality to the idea of woman as weak makes many (most?) 19th Century women invisible. Working class women regularly worked both inside the home and outside of it, and in both cases that work consisted of long hours and strenuous labour. Nevertheless, this weakness was not only considered to be a physical one, but also a mental one. The November 1874 edition of Popular Science Monthly ran an article which was a mother’s lament for a daughter who was “educated to death”, and followed it up in February 1875, with a different article suggesting natural selection would ultimately cause the demise of women’s intellect. Women with true intelligence were a rarity to begin with, their destiny was often to marry late or not at all and as a result, they didn’t have children. Failing to reproduce, which was considered the natural role of women, doomed women’s intellect to extinction. This article was written by a gynaecologist. Women’s education in the 19th Century was considered adequate if they were given the necessary skills to run a household. Getting an education in the sciences during the 19th Century was difficult for a woman. Getting a medical education required something just short of outright war. The bar to medical education was so difficult to get over that in some places women opened their own universities and colleges. But others were determined their education should be the same education men received, and take place amongst the men. Women’s histories are often hidden but the stories of early women graduates of medicine are beginning to emerge and they are wonderful. These women were disruptive. They challenged societal notions of what it was to be a woman, they didn’t shy away from their intellect or the hard work required to get to where they wanted to go. They were pioneers and leaders. Emily Hancock Seideberg was the first woman to study medicine in New Zealand. She enrolled at the University of Otago Medical School and began her studies in 1891, becoming New Zealand’s first medical graduate in 1896. Dagmar Berne was the first woman to enrol in medicine in Australia. She began her studies at the University of Sydney in 1885 but left to gain her qualifications in London, Edinburgh and Dublin before returning to Sydney and registering as a medical practitioner in 1895. Six women were admitted to the University of Melbourne Medical School in 1887. They were Clara Stone, Margaret Whyte, Grace Vale, Elizabeth O’Hara, Helen Sexton, Lillian Alexander, Annie O’Hara. Laura Fowler graduated from medicine at the University of Adelaide in 1891. Roberta Henrietta Margaritta Stewart was the first woman to set up a medical practice in Western Australia in 1897. Stewart enrolled in medicine with her brother Fergusson at Glasgow University, however, was unable to attend lectures with her male counterparts and was sent instead to Queen Margaret College and the Royal Infirmary. The University of Western Australia was established in 1911, with the Faculty of Medicine established in 1956. This is the first post in a series about women in medicine, particularly women in anaesthesia.